This book offers extremely practical and expert advice and clear-cut guidelines that caregivers can use in their daily work with young people and their families who are dying or trying to cope with death. 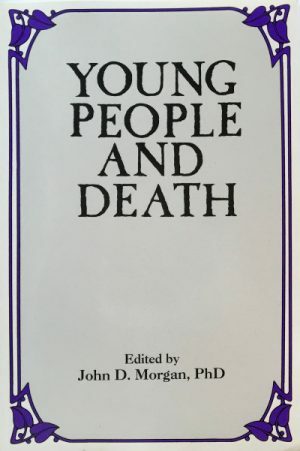 Written by 23 contributors from many disciplines who have extensive experience in the field of child behavior and death, including anthropology, clergy, psychology, bereavement counseling, sociology, counseling and educational psychology, social work, child psychology, philosophy, humanities, grief management, medicine, and hospice counseling. This book will be of inestimable value to educators, counselors, doctors, nurses, psychologists, social workers and the clergy. When You Lose a Child, Are You Still a Parent? When You Lose a Parent, Are You Still a Child? John D. Morgan, PhD, a pioneer in the death awareness movement, has published on a wide range of topics in the field of death and bereavement, drawing from his work as educator, author, lecturer and program organizer. In 1997 he received an award from the Association for Death Education and Counseling for his work in death education. Dr. Morgan is the series editor of Baywood’s Death, Value and Meaning Series. Born in San Francisco, he has resided in Canada since 1963.